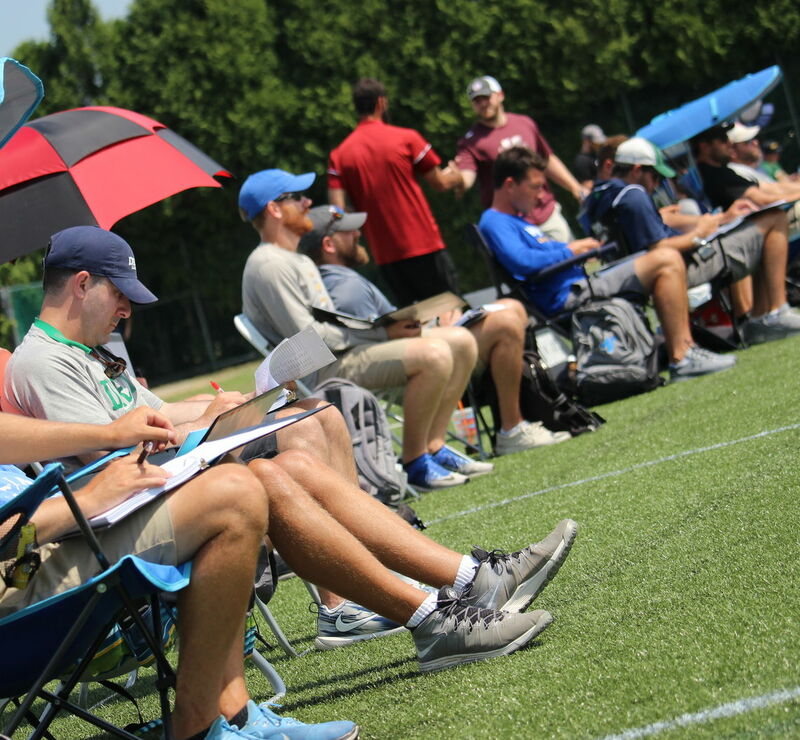 The annual 2018 Boys Philly Summer Showcase hosted over 300 athletes and 49 college coaches for an intense one-day tournament at United Sports in Downingtown, PA. Some of the top high school talent in the country arrived in Downingtown, PA last Friday for the 2018 Boys Philly Summer Showcase, one of the premier showcases on the summer circuit. The 351 athletes from 25 different states and two Canadian provinces earned the opportunity to play in front of 49 college coaches throughout the day. The 49 coaches in attendance represented 47 NCAA institutions Including 19 Division I, 7 Division II and 21 Division III schools. The athletes ranging from graduation years 2022 to 2019 had a chance to compete on four turf fields and one grass field at the state of the art United Sports Training Center in Downingtown, PA. Each of the 18 Showcase teams were coached by an NCAA college coach. Every coach had practice time with his respective teams before the start of the games to go over a game plan for the day and meet each player. Teams played three games each and the day was concluded with two All-Star games. Eleven-time NCAA Champion Syracuse University and six-time National Champion Princeton University were some of the many big names roaming the United Sports sidelines last Friday. 2018 NCAA tournament participants Villanova and UMASS were in attendance along with perennial Big Ten power, Penn State and Ivy League powers, Harvard and UPENN. Three-time Division III National Champion Tufts University was also in attendance highlighting a solid line-up of Division III Schools. Below is the entire list of college coaches in attendance for the 2018 Boys Philly Summer Showcase. Follow Showcase Lacrosse on Twitter and Instagram. Click here to view the photos from the Philly Showcase.